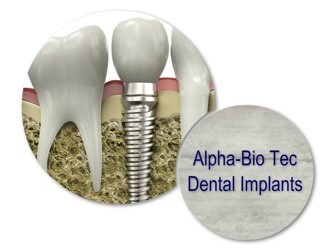 Alpha-Bio Tec implants are a type pf specialized dental implants that integrate into the body and shorten the recovery time, at the same time preventing any possible complications and offering durability for years. Our dentists in Bucharest work with these type of implants in order to provide the best possible solutions for this dental treatment. Dental implants are complex procedures that require commitment from the patient’s part and dedication from the dentists. 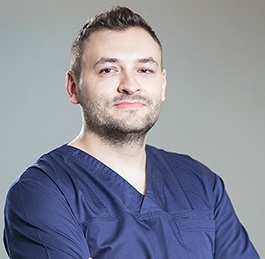 By using the best possible materials, our dentists in Bucharest can make sure that you will be satisfied with the end result and that the dental implant will be long lasting. The ultimate goal of any dental implant is to make sure that the material used for the implant fuses with the bone. The special surface used by these type of implants, the NanoTec implant surface is specially designed so that the implants will integrate naturally with the human body. Once the dentist is sure that the implant is successful, he can move on to choosing other materials for dental prosthetics and find solutions for dental crowns and bridges. The available types of Alpha-Bio Tec implants have their own different characteristics. The spiral implants and dual fit implants have proven clinical properties. Alpha-Bio Tec offers a number of products for dentists, including implants and prosthetic parts, all with proven clinical biocompatibility. They are fast and easy to insert, are very stable and predictable and have high success rates. The special NanoTec implant surface is created specifically for the purpose of fusing as closely as possible to the organism. It has a special surface that allows for the absorption of the blood directly into its micro-pores immediately after the implant is placed. It has a number of advantages, out of which the most important one is the short healing period. The Alpha-Bio Tec dental implants are an affordable brand that offer superior products having the patient’s best interests in mind. 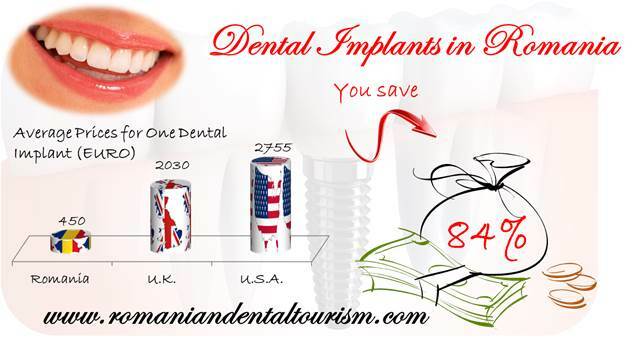 If you would like to know more about other dental implant brands, you can contact our dentists in Bucharest. Implants are some of the most sought after procedures by patients interested in dental treatments abroad. If you would like to know more about dentistry in Romania, you are welcome to take a look at our dental services.